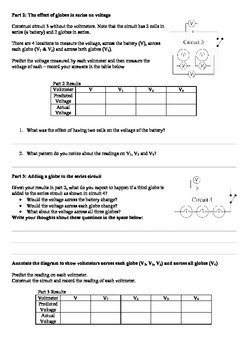 Students use the PHeT construction kit to investigate voltage in simple circuits. 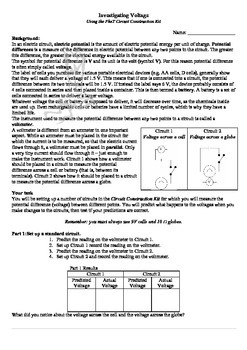 Student construct series and parallel circuits. 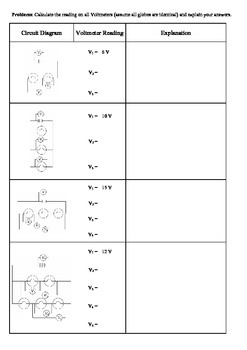 Read and draw circuit diagrams. 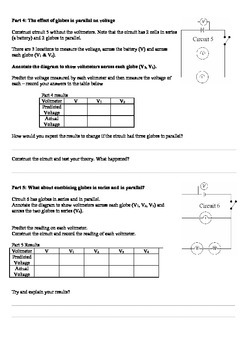 If you are looking for great value please find my physics package (http://www.teacherspayteachers.com/Product/Physics-Package-all-my-physcial-science-products-free-upgrades-for-life-871735). It represents great value, including this resource and many others at a heavily discounted price.